Several books . . .
Two readers . . .
Two perspectives . . .
Two readers with different connections and interpretations of the same text share unique views. 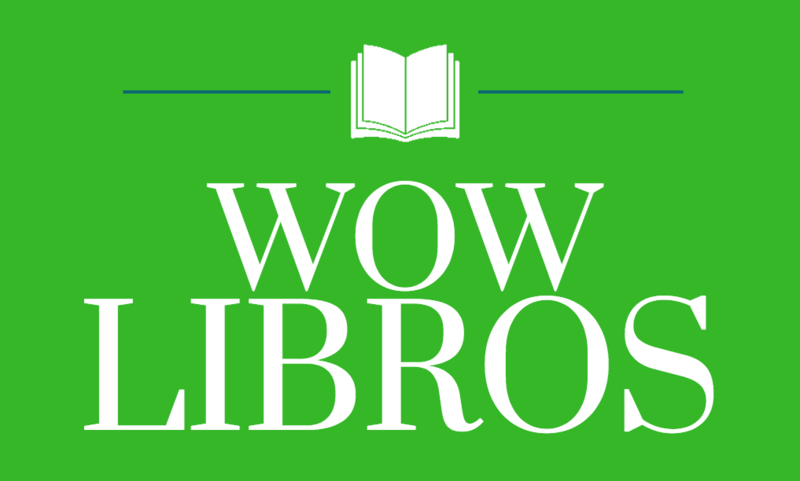 You are invited to join in with your own perspective each Wednesday as we feature an entry from our WOW Books database. We continue our month of discussion of books about Cuba with The Lightning Dreamer. 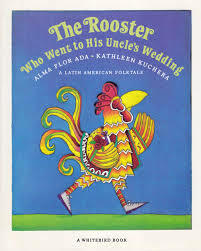 Folktales from Cuba: The Rooster Who Went to His Uncle’s Wedding, The Bossy Gallito, Baila, Nana, Baila: Cuban Folktales in English and Spanish. As we look at normalizing relations with Cuba, we discuss the book Under the Royal Palms, a look by Alma Flor Ada growing up in Cuba before and after the revolution. Music dancing? Colors singing? We discuss the book, The Noisy Paint Box, based on the life of artist Wassily Kandinsky. 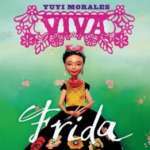 We note how both the story of artist Frida Kahlo and the artistic style of Morales’ illustrations in Viva Frida! provide the reader multiple ways to get to know this artist. 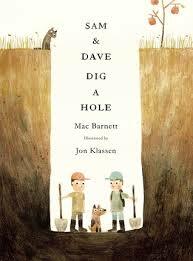 Sam and Dave Dig a Hole, a Caldecott Honor winner, is a story that has led to multiple interpretations for our comments this week. We have a lively debate about the Caldecott Award winners for 2015. 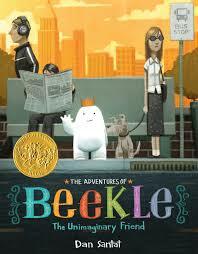 We begin with the winner, Beekle. Bon knows nothing about fitting in and Kieran is embarrassed. When Bon is bullied, Kieran has a decision to make in My Cousin’s Keeper. Our comments are about The Turtle of Oman, in which Aref must move from Oman to Michigan and leave a community that has nurtured him behind by storing up memories before he leaves. 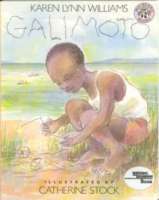 Add your thoughts to our comments on Golden Boy as Habo, an albino in Tanzania, is hunted for his body parts because the color of his skin is considered good luck. 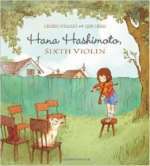 Hana, in Hana Hashimoto, Sixth Violin, has had three lessons and wants to enter a talent show. While her brothers insist it will be a “disaster,” Hana proceeds and . . . Leave your comment. 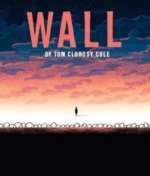 Join our comments on Wall: Berlin, divided, father on one side, son on the other, an East German soldier, a tunnel, and . . .
We discuss how brothers can be a joy to each other, have fun together, frustrate each other, and play all sorts of games to/with each other like The Rules of Summer . . . Follow the comments on Arto’s Big Move as Arto makes very clear how unhappy he is when his parents move and how difficult it is for him adjust until . . . 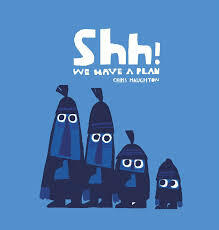 This month we discuss award winning books that are a bit “quirky.” Shh! We Have A Plan is our first “take” of the month. Our exploration of Workers and Activists concludes with comments on Razia Jan (Razia’s Ray of Hope: One Girl’s Dream of an Education), personifying resilience, in returning to Afghanistan and opening an all-girls school. This week’s commentary focuses on Separate is Never Equal and the Mexican American crusaders who fought educational injustices in the 1940s, before Brown v. Board of Education in the 1950s. Comments for our second week of Workers and Activists takes readers to the foul-smelling streets of London’s Soho district in the 1850s during a cholera epidemic with The Great Trouble. 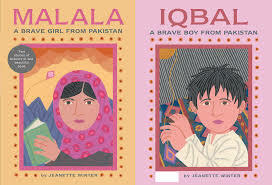 We examine informational texts centered around present-day human rights issues, starting with a discussion of the impact that Malala, A Brave Girl From Pakistan/Iqbal, A Brave Boy From Pakistan had on middle school students. A continuing discussion featuring strong, independent women in love in Iran continues this week with the book If You Could Be Mine by Sara Farizan. Follow our comments on the Moon At Nine, by Deborah Ellis, takes place in post-revolutionary Iran as 15-year-old Farrin and Sadira, two girls in love from totally different backgrounds, struggle to adapt. In The True Tale Of The Monster Billy Dean, we learn the truth (and comment on) about the things that were saved and things that were destroyed on the day that Billy Dean was born. Is the magical realism in Mortal Fire a way that the author, Elizabeth Knox, is prompting us to consider how magic imbues our own lives and the stories we construct? Join the discussion. Nathan, born to a white witch with a reviled black witch father, must navigate two “worlds” that both hope he will decide to join them results in a spirited discussion of Half-Bad. “Hank,” finds himself in New York’s Grand Central Station with amnesia and the only clue to his identity is a copy of Thoreau’s Walden. Being Henry David is the focus of our comments this week. 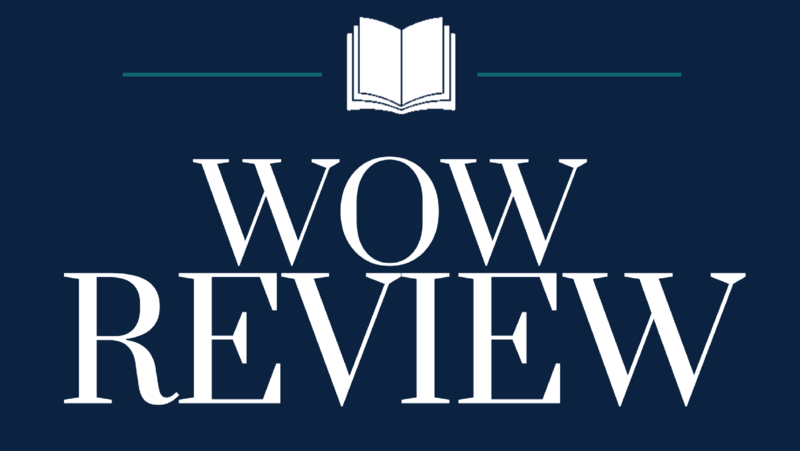 Worlds of Words has a month of comments on The Tyrant’s Daughter, “…pure fiction that is inspired by real events” by J. C. Carleson, that ultimately is written from just one very limited and dangerously biased perspective. We discuss Jonah Winter’s Frida, illustrated by Ana Juan, as he explores Frida’s childhood in which she found much of her inspiration for her art. 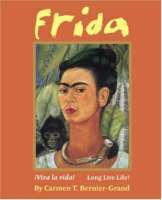 This week we look at how Carmen T. Bernier-Grand’s, coupled with Frida Kahlo’s paintings, portray the originality of this important painter in Frida: Viva La Vida! Long Live Life! Enjoy our take on how Diego Rivera reflected in his art how he lived life to the fullest (and then some) in Diego: Bigger Than Life. Our take on Angela Johnson’s and E. B. Lewis’s portrayal of Emancipation Day through the eyes of slaves in 1863 with the book All Different Now: Juneteenth, the First Day of Freedom. Our take on the work of Aaron Becker as he takes the reader on a visual odyssey when a lonely girl uses her imagination to escape boredom in the wordless book Journey. Linus’s older brother Albie leaves New York City to fight in World War II. Linus takes over the grocery deliveries for Albie and meets Mr. Orange. Going Over depicts two teenagers in love who are stymied in an era of heightened anxiety, 1980’s Berlin, as they struggle with both a country and a relationship divided by seemingly insurmountable barriers. Margarita Engle, through The Lightning Dreamer set in 1827 Cuba, reminds us that both slaves and women were seen as financial commodities who fought for their freedom. Caminar, by Skila Brown in a narrative poem format, depicts the fears and dilemmas of a child soldier caught up in the Guatemalan civil war in 1981. In Extra Yarn, Annabelle finds that she has an inexhaustible supply of yarn and knits everyone she knows a sweater until her yarn box is stolen. A house and yard, well-kept over the years, are left untended when a father finally moves away. Nature takes over in a House Held Up by Trees. This Is Not My Hat is vintage Jon Klassen in which the theft of a hat leads to a lesson, wrapped in humor, for a small fish. In I Want My Hat Back by Jon Klassen, Bear, in search of his hat, asks the other animals if they have seen it. With a twist at the end, he finally finds his hat and . . .
Less Than Half, More Than Whole explores the concept of how much ethnic “blood” is necessary to truly belong and what affects that has in the struggle for identity. Maya, in Jacqueline Woodson’s Each Kindness, is a new student in Chloe’s class who wants desperately to “fit in.” Unfortunately, Chloe and her friends reject her. When the teacher poetically explains how kindness has a ripple effect, Chloe resolves to change. Travel back to 1869 and experience what a cross country train trip would be like through the detailed and stunning artwork of Brian Floca’s Caldecott winning Locomotive. Charlotte Dematons, through her detailed and stunning paintings, fancifully shares the many aspects of Holland in a wordless text, Holland. What Do You Do With An Idea?, by Kobi Yamada and illustrated by Mae Besom, is a rich and amazing book about creativity and the power to change the world with an idea. 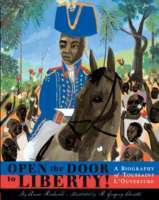 Open The Door To Liberty is the story of revolution leader Toussaint L\’Ouverture of St. Domingue (now Haiti). It was once a French colony where white plantation owners forced African slaves to farm sugar cane. Kadir Nelson chronicles Mandela’s desire to create a more just world despite being a heavily punished victim of apartheid in Nelson Mandela. We are All Born Free is a simplified version of the Universal Declaration of Human Rights originally proclaimed after the horrors of World War II and especially written for children. Willow Chance, adopted by loving parents, has always felt like an outsider. When her parents die unexpectedly, she struggles to find a surrogate family that understands her idiosyncrasies in Counting by 7’s by Holly Goldberg Sloan. The lush landscape that is Haiti provides teenage poets, coupled with recreated photos by Rogé, a literary canvas to describe the beauty of Haiti in Haiti My Country: Poems by Haitian Schoolchildren. 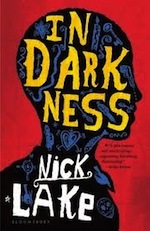 Trapped under rubble after an earthquake in Haiti with the smell of death all around him, fifteen year-old Shorty struggles to survive by reliving events of his past in In Darkness by Nick Lake. Serafina’s Promise, by Ann E. Burg, describes the life of a young girl in Haiti who desperately wants to be a doctor but instead must help her mother with chores so that her family is able to live a very meager existence. Mountains Beyond Mountains, by Tracy Kidder, chronicles the story of Paul Farmer as he selflessly works to bring effective medicines and modern hospitals that improve the lives of the residents of Haiti. While fascinating, Trickster: Native American Tales: A Graphic Collection edited by Matt Dembicki, raises questions about the authenticity of the illustrations as it breaks out of traditional publishing formats. 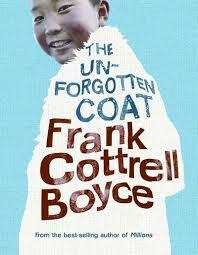 Two Mongolian brothers precipitate an unexpected need for cultural understanding from Julie when they name her as their “Good Guide” after they arrive in her sixth grade class in The Unforgotten Coat by Frank Cottrell Boyce. Children making toys with everyday items is a universal theme that Galimoto, by Karen Lynn Williams, explores with a child who perseveres despite being ridiculed by others. Enjoy a larger than life story of a western sheriff, Bass Reeves, a former slave feared by outlaws in the book Bad News For Outlaws: The Remarkable Life Of Bass Reeves, Deputy U. S. Marshal by Vaunda Micheaux Nelson. Yuriko, in the book The Favorite Daughter, by Allen Say, struggles with dual identity. Her father gently helps her work through being not Japanese enough while being not American enough. 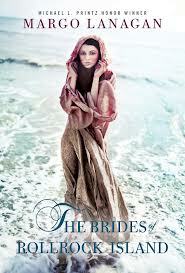 The Brides of Rollrock Island, by Margo Lanagan, uses a Selkie legend about men drawing a wife from the sea to weave a “be careful what you wish for” tale with all of its unintended consequences. Through Tom, a high school senior, we see how a small community in Maine hosts a number of Somali refugees and struggles with the personal and cultural issues that result in Out of Nowhere by Maria Padian. A teenage refugee in Darfur and an American girl are connected through a nonprofit organization in The Milk of Birds by Sylvia Whitman. One experiences the terror in Darfur while the other struggles with school. Though never meeting in person, they manage to help each other. In Tanya Linch’s My Duck, a young girl writes a story for class with a duck that wears socks and shoes. When her teacher frowns upon it she rewrites the story, but the duck refuses to leave. Yet another book that brings smiles to the face of the reader, The Pig in the Pond by Martin Waddell, looks at cultural norms and behaviors in a humorous and instructive way. The Three Little Pigs And The Somewhat Bad Wolf, by Mark Teague, is one of a series of books we highlight that examines larger issues all the while bringing a smile to our face and delighting the children with whom we share it. 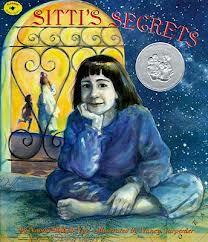 Our final book about girls in the Middle East is Sitti’s Secrets, by Naomi Shabib Nye. Mona, while visiting her grandmother on the West Bank who does not speak English, learns to appreciate other cultures and the universal yearning for peace. 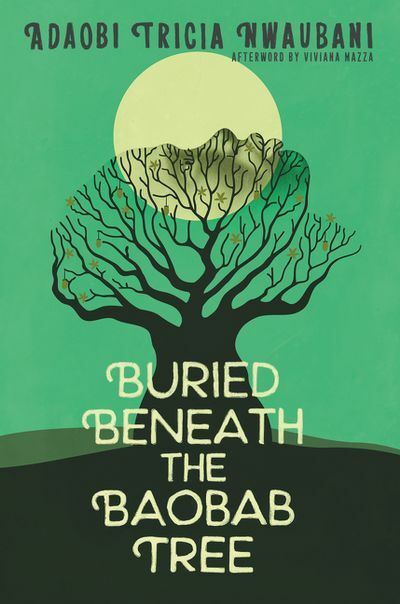 Based on a true story from Afghanistan, Nasreen has been mute ever since her parents vanished. Jeanette Winter, in Nasreen’s Secret School, relates how her grandmother, at great risk, enrolls her in a secret school for girls in the hope that it might help. 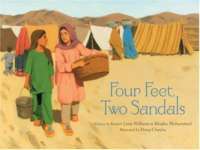 Two girls learn to understand the importance of cooperation and sharing when each receives one shoe of a pair in Four Feet, Two Sandals by Karen Lynn Williams. My Take/Your Take begins a series of books depicting the images of girls in the Middle East. 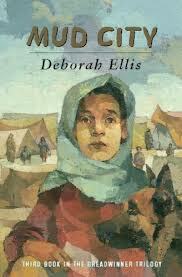 The Breadwinner, by Deborah Ellis, relates the story of Parvana who must dress as a boy to provide for her family in Aftghanistan. Thirteen-year-old Travis can’t read. This is complicated by the fact that he has recently moved and is living with an alcoholic grandfather. Mr. McQueen makes a difference by refusing to let him “slide by” in Bluefish, by Pat Schmatz. 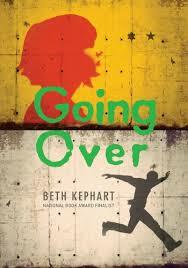 Rob Buyea’s Because of Mr. Terupt lets the reader view, through the eyes of seven students, how a new teacher, by engaging every student in his class, knits together a classroom community of middle school students even though things appear to go horribly wrong at one point. Inspired by one of her art teachers, Patricia Polacco, in The Art of Miss Chew, encourages her nascent artistic development, along with her classroom teacher, despite her struggles. In Daughers of War, by Marsha Forchuk Skrypuc, teenagers Kevork and his fiancé Marta have managed so far to evade the Armenian genocide in Turkey, both disguised as Muslims. But Marta is forced into pregnancy and in Turkey while Kevork is in Syria. Home Is Beyond the Mountain, by Celia Barker Lottridge, tells the story of children struggling with being displaced and is based on an historical event in 1918 when the Turkish army invaded Persia. I Dreamt . 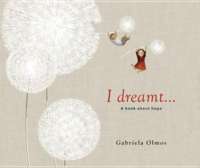 . . A Book about Hope by Gabriela Olmos, with the aid of a dozen different illustrators in Mexico, helps children find hope amidst sociopolital crisis. 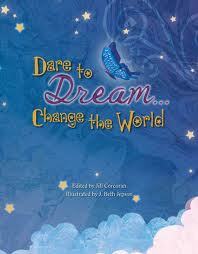 This collection of thirty poems, Dare to Dream by Jill Corcoran and J. Beth Jepson, focuses on ways people from many walks of life have made a difference in the world. 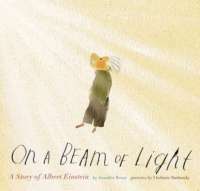 On a Beam of Light is an inspiring book for young children that will fire their imagination through the story of Albert Einstein. Littlest One is learning to take fragments of a persons own memory and weave them together to make good dreams happen instead of nightmares. Her “light” touch provides some desperately needed healing for those in distress in Lois Lowry’s Gossamer. Finding strength in a family crisis, Akira manages to keep what is left of a family together when his mother leaves and doesn’t return. Set in contemporary Japan, Nobody Knows is a haunting book by Shelley Tanaka that reminds us that children can be at risk anywhere and anytime. Thanhha Lai’s Inside Out and Back Again chronicles HÀ’s journey from Saigon to the foreign world of Alabama with its intolerance of strangers, boring food, and unfamiliar landscape as she relies on the strength of her very own family to survive. In My Name Is Parvana, American authorities have just imprisoned a teenaged girl found in a bombed-out school in Afghanistan. Suspected of being a terrorist, she remains silent, even when she is threatened, harassed and mistreated. I n a Long Walk to Water, Linda Sue Park explores the realities of survival for children in the Sudan as they struggle to find water and avoid political life threatening political realities. When My Name Was Keoko, by Linda Sue Park, chronicles the fear as well as the physical and cultural hardships of a Korean family living under Japanese occupation in World War II. Funny in Farsi, by Firoozeh Dumas, chronicles his Iranian family who immigrated to the U. S. and their culture shock in humorous stories that coming from another country can engender. Told in verse, Under the Mesquite by Guadalupe Garcia Mccall, shares the story of Lupita, an aspiring actress in high school. When her mother is found to have cancer, she puts her dreams on hold as she works to keep their Mexican-American immigrant family afloat. Kek, a child born in Sudan in Katherine Applegate’s, Home of the Brave, suffers through a brutal civil war in which only he and his mother survive. Then, she is missing. Kek eventually finds refuge in Minnesota, making new friends while thinking of those he left behind. Blue never gave a thought that her kiss would kill her true love until she sees Gansy, from a nearby boys boarding school, in her first vision. Eventually, in Maggie Stiefvater‘s The Raven Boys, she and Gansy both help to seek a link to a long dead king. And the kiss . . . Constantly bullied, Malcolm, aka Butter, is unable to control his eating and decides to webcast his last meal as he eats himself to death. Butter, by Erin Jade Lange, confronts the dilemma inherent in being popular for the wrong reasons. 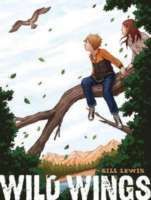 Billy, eleven, struggles enough simply because he is homeless. Things get worse when the streets he lives on become a war zone in A Small Free Kiss in the Dark by Susan Beth Pfeffer. War brings many awful consequences which include the loss of life and the destruction of property. Sometimes it includes the loss of cultural treasures and crucial information. Alia, in The Librarian of Basra: A True Story from Iraq, saves a community resource. Many communities have mobile libraries. Interestingly, they don’t all come with wheels. 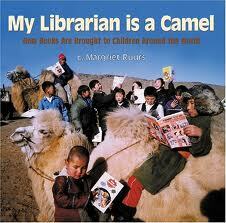 Explore the many different ways books get shared with My Librarian Is A Camel by Margriet Ruurs. Like Waiting for the Biblioburro, Biblioburro is based on fact. Jeannette Winter’s book, however, highlights Luis Soriano’s motivations and the challenges he faced in another take on an inspirational story. Waiting for the Biblioburro, by Monica Brown, is a charming story of a young girl whose life is changed through the power of books and the determination of one man to change the world one child at a time. In Mud City, the final book in the trilogy begun in The Breadwinner and Parvana’s Journey, Shauzia’s trouble seem over as she is brought to the U. S. by an American couple. Yet, the book forces the reader to ponder the charitable motives in some of our actions. Maximilian: The Mystery of the Guardian Angel is an award winning book about luchadors (Mexican wrestlers). 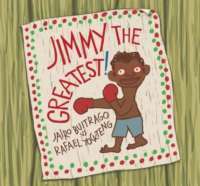 Is it just a great read or do the cultural character stereotypes make it problematic? Set in Northern Ireland, the son of a destitute alcoholic mother, Declan, goes to live with his cousin, Vicky, who wants for nothing and revels in it. All of the inherent conflicts of the situation erupt around a horse, Flight, in Taking Flight. A year after Stephie Steiner and her younger sister, Nellie, left Nazi-occupied Vienna, Stephie has adapted to life on the rugged Swedish island where she now lives, but there are hidden costs for her in The Lily Pond . . .
Based on a true story, Soldier Bear is the tale of an orphaned bear cub adopted by a group of Polish soldiers in Iran. They raise the bear, eventually enlisting him as a soldier so that he stays with them. Many of us have enjoyed watching Marcel Marceau’s mime performances. Though performances seemed simple, he was a much more complex person. 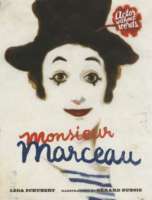 Join the interesting discussion Monsieur Marceau has generated. For parents, love sometimes means setting limits, and they do get angry, but hopefully overcomes it all. Klaas Verplancke’s Applesauce explores the parent-child relationship in what might seem a disturbing way. Your take? In iBoy, by Kevin Brooks, Tom has portions of his iPhone embedded in and interacting with his brain after an attack. Though it gives him amazing powers, it also comes with risky choices and moral dilemmas. In Wild Wings, Iona and Callum find a rare osprey and have it tagged. As they track it across continents, its signal becomes stagnant. Their fight to save it requires international cooperation in a story that transcends borders. After writing the award winning Skellig, David Almond then wrote the prequel, My Name Is Mina, in which Mina lets her imagination run wild as she makes entries in her journal. These Hands shows a young man coming to appreciate the struggles for equality as he learns that his grandpa’s hands, talented in so many ways, kept him from baking bread because white patrons would not buy it if he did. Around the world, houses come in a stunning number of varieties. Explore many of the most unusual with If You Lived Here: Houses of the World. Every culture has special affectionate words or phrases for their children. Some of the terms of endearment used in other countries are, indeed, fascinating. 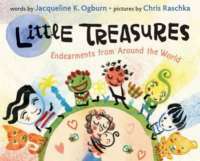 What are your thoughts about Little Treasures: Endearments Around the World. Children are especially caught between the contradictory tugs of both affirming their uniqueness while simultaneously being pressured to conform. Monica Brown sensitively approaches this dilemma, bilingually, in Marisol Mcdonald Doesn’t Match. 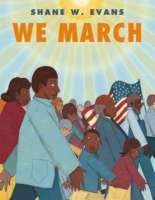 With vivid illustrations buttressing a brief text, We March creates a vivid and powerful portrayal of the events of the 1963 march in Washington, D.C., where the Reverend Martin Luther King Jr. delivered the historic “I Have a Dream” speech. Parables are those wonderful, short stories that both entertain and teach. 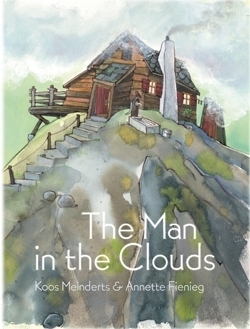 This week, the man in The Man in the Clouds, by Koos Meinderts, learns a powerful lesson about letting others define what is valuable for him. Poems in both English and Spanish illuminate the migrant experience of a grade school child from Mexico. Jorge, in My Name Is Jorge: On Both Sides Of The River, tackles a new language and cultural experiences with the inevitable misunderstandings that follow. 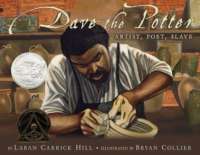 Laban Carrick Hill’s Dave the Potter chronicles how Dave’s artistically created pottery, with deeply observant poetry carved onto them, allows his to overcome life as a slave and leave a lasting artistic legacy for generations to come. Eratosthenes, twenty-three hundred years ago, measured the earth accurately to within one hundred miles. 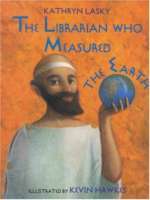 This story, by Kathryn Lasky, provides both the math and the inquiry process used in The Librarian Who Measured The Earth. August’s My Take/Your Take is about human suffering and personal struggles and societal issues involving the roles adults take in young peoples’ lives. Pudge leaves for boarding school and when tragedy strikes hiss close-knit group, and comes face-to-face with death, he discovers the value of living and loving unconditionally in Looking for Alaska. Kana’s parents, in Orchards, hoping Kana will reflect on her behavior, send her to her mother’s ancestral home in Japan for the summer. 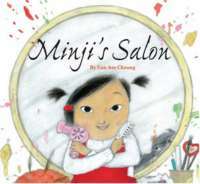 Kana’s mixed heritage makes it hard to fit in at first, especially under the critical eye of her traditional grandmother . . . In A Troublesome Boy, set in 1959, Teddy has been sent to a Catholic boarding school that turns from just cold and unforgiving to a school where adults in charge abuse and dehmanize their students. Mirror asks the reader to compare illustrations of Australia with those of Morocco. However, the comparison ends up being unfair while reinforceing existing stereotypes. Two readers of The Day of the Pelican discuss their responses to the story of a Muslim family who migrates to the U. S. when they are targeted by Serbian extremists in Kosovo in My Take/Your Take. To escape Taliban oppression, 11 year-old Fadi and his family immigrate to the U. S. only to be the victim of suspicion and discrimination after 9/11 in Shooting Kabul. In Irena’s Jar of Secrets, Irena not only helped children in the Warsaw ghetto escape Nazi extermination at great personal risk, but she kept lists to help families reunite after the war. 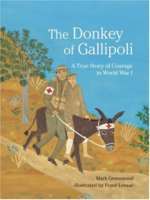 Based on a true story, Jack Simpson’s ability with animals allows him to bring a donkey to aid in the rescue of wounded men in World War I in The Donkey of Gallipoli. A virus prevents and new births in over a generation. The Never Weres chronicles a world where clones could represent the only chance for human survival. The wise men brought gold, frankincense and myrrh to the manger in Bethlehem. The Third Gift provides a story the story of myrrh. A dog, inspired by the book Puss in Boots, just has to have its own pair of boots. Life, however, turns out not to be that simple for Dog in Boots. A young girl willingly allows herself to be brought to the U.S. to supposedly be a nanny to the family of a doctor so she can go to school to learn English. Only . . . Add your thoughts to our dialogue. Beatrice’s Dream, A Story of Kibera Slum tells Beatrice’s story in words and photographs that is very different from most children in America. Join our dialogue and add your perspective. 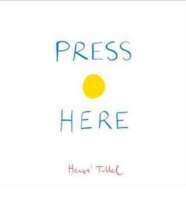 Press Here is an interactive book for young children that asks them to press the dots, shake the pages and tilt the book to embark on an imaginative adventure. Add your perspective. 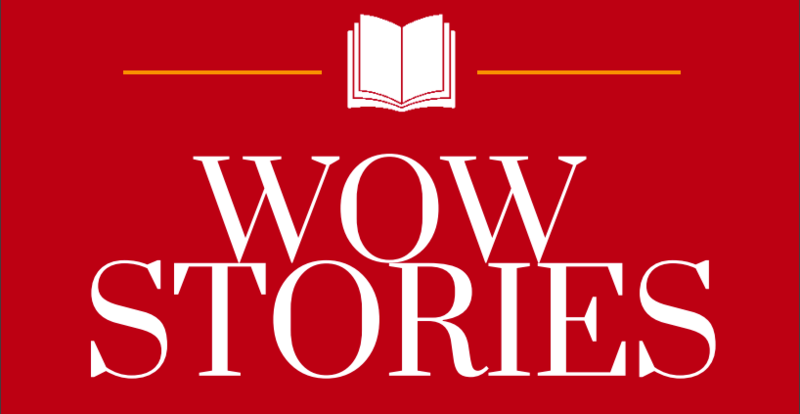 See books highlighted previously in WOW Books.